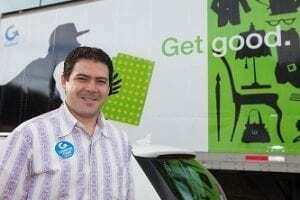 A Goodwill Car Donation to San Francisco, San Mateo and Marin Counties opens doorways to jobs for local people in need. We provide structured on-the-job training, life skills coaching and employment opportunities to people ready to transform their lives. Called The Goodwill Way, our proven method moves people from hopelessness and dependency to confidence and stability through the power of work. We focus on people coming out of prison, off the streets, and out of addiction — the chronically unemployed for whom Goodwill is often a last hope. We help many migrate from public assistance to paycheck, become self-sufficient and take part in supporting their families and communities. More than half the people who work at SFGoodwill are current or former recipients of our services. Although more than 80% of the funding for our job training programs and services comes through the sale of goods generously donated by residents of our three counties, we depend on grants and financial contributions to fund the rest. Since it is not tied to operating our businesses, your donation today will have an outsized impact on our ability to serve our mission. We want to help even more people get a fresh start in life and contribute to their community through the power of work. With your help today, we can provide training and coaching to an additional 60 people in the months ahead. Your contribution will help 60 families, 60 neighborhoods, and our entire community. Thank you from the entire 1,000-strong SFGoodwill family for your generous car donation. For more information visit our website at www.sfgoodwill.org.